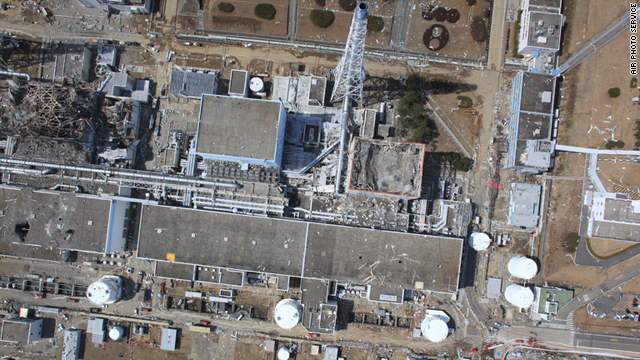 An aerial view of the damaged Fukushima Daiichi nuclear plant. Tokyo (CNN) -- The United Nations nuclear watchdog agency said Wednesday that Japan underestimated the hazard posed by tsunamis to nuclear plants but praised the country's response to the Fukushima Daiichi crisis as "exemplary." The International Atomic Energy Agency announced a preliminary summary of safety issues related to the crippled power plant. The plant was damaged after the March 11 earthquake and tsunami that devastated northern Japan and killed more than 14,000 people and left another 10,000 people missing. An international team of nuclear experts from 12 countries participated in a fact-finding mission and completed its preliminary assessment Wednesday, the agency said. The team said nuclear designers and operators should "evaluate and provide protection against the risks of all natural hazards.". "These tsunami waves overwhelmed the defenses of TEPCO's Fukushima Daiichi facility, which were only designed to withstand tsunami waves of a maximum of 5.7 meters (18.7 feet) high. The larger waves that impacted this facility on that day were estimated to be larger than 14 meters (46 feet) high," the report said, referring to the plant's owners, Tokyo Electric Power Co.
"The tsunami waves reached areas deep within units causing the loss of all power sources except for one emergency diesel generator ... with no other significant power source available on or off the site, and little hope of outside assistance." The team also said despite the "brave and sometimes novel" efforts by operational staff to control and cool reactors and spent fuel, the fuel was severely damaged and a series of explosions occurred. "The operators were faced with a catastrophic, unprecedented emergency scenario with no power, reactor control or instrumentation," the summary said. "They had to work in darkness with almost no instrumentation and control systems to secure the safety of six reactors, six associated fuel pools, a common fuel pool, and dry cask storage facilities." Team leader Mike Weightman, the UK's chief inspector of nuclear installations, said the team was humbled by massive damage caused by the tsunami. "We are also profoundly impressed by the dedication of Japanese workers working to resolve this unprecedented nuclear accident," Weightman said in an agency statement. The team also praised Japan's "long-term" response, including the "impressive and well organized" evacuation of the area around the stricken reactors. "A suitable and timely follow-up program on public and worker exposures and health monitoring would be beneficial," the team said. The draft report summary was delivered to Japanese authorities Wednesday, the agency said. A final report will be delivered to the Ministerial Conference on Nuclear Safety at the agency's headquarters in Vienna in late June.